The deadline to stay in the NBA Draft came and went yesterday, with the Big Ten conference getting plenty of good news. Eleven players announced their intentions to return to school for the 2018-19 season after testing the NBA waters, making the conference that much tougher for the upcoming season. The Big Ten was not without some last minute departures as well however as Kevin Huerter of Maryland announced earlier this week that he will hire an agent and keep his name in the draft. The Terps also lost Justin Jackson to the draft, after he 9.8 points and 8.1 rebounds per game in 2017-18. Huerter meanwhile, averaged 14.8 points and 5.0 boards per contest. While Maryland lost a pair of players, a lot of schools got good news Wednesday, with many players returning to school. We take a look at the most impactful returning players from the list above, and how it could shape the conference in 2018-19. Wisconsin big man Ethan Happ dominated the paint last season, while his teammates around him largely failed to give him much assistance. The Badgers finished the 2017-18 season with a lackluster 15-18 record, but it was not due to a lack of effort from Happ. The 6-foot-10 center averaged 17.9 points and 8.0 rebounds per game last season, good for fourth and third in the conference respectively. His team began to pick up the slack late in the season, as the Badgers won four of their last six to end the season, with the only two losses coming to Michigan State. The Badgers figure to be much improved next season, surrounding Happ with dynamic players such as the emerging point guard Brad Davison, who enters his second season as a potential All-Big Ten candidate. With Happ back, the Badgers are once again contenders to get to the NCAA Tournament and perhaps make some noise in the conference once again. 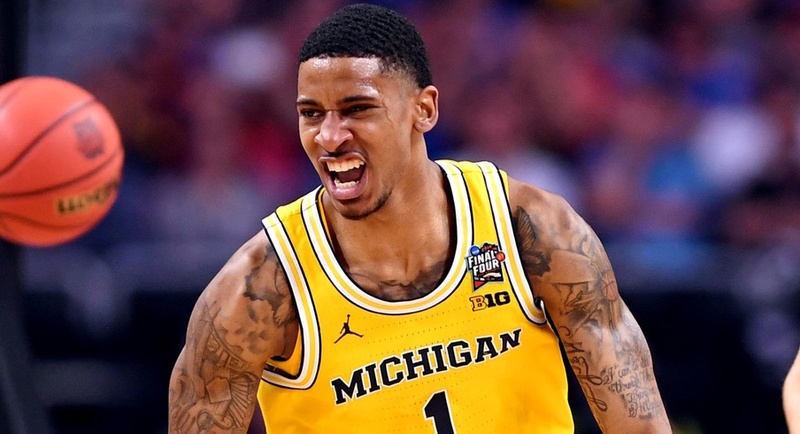 The Wolverines lost superstar big man Moe Wagner to the NBA, sharpshooter Duncan Robinson and veteran Muhammad-Ali Abdur-Rahkman to graduation, so the Wolverines were glad to get Charles Matthews back for one more season. Matthews was Michigan's second-leading scorer last season, averaging 13.0 points per game to go along with 5.5 rebounds from his guard spot. He, like many Big Ten players, tested the NBA waters and might have been a late-second round selection, but ultimately came back to make another NCAA Tournament run. With Matthews back, Michigan becomes one of the favorites to return to the Big Ten summit. Combine his versatility on the perimeter with young, athletic forwards such as Isaiah Livers and Jordan Poole, the Wolverines figure to once again contend for a conference crown. A Columbus product, Nick Ward spent the first two years of his college career dominating the paint. He averaged 12.4 points per game as a sophomore, but more importantly, led the conference in field goal percentage (64.8 percent) and ranked in the top-10 in rebounding (7.1 rpg) and blocked shots per game (1.3). A bulldozer in the paint, Ward went through the NBA combine process while his MSU teammate Jaren Jackson stayed in the draft, as he projects as a top-five pick. Ward ultimately decided to return to East Lansing for a junior season, which makes Michigan State a contender to defend its regular season conference title. Ward returning was big for the Spartans, who not only lost Jackson, but Miles Bridges as well. Ward will be asked to do a lot for MSU next season, but will also get some help as Tom Izzo is set to welcome a top-20 recruiting class to campus this season. With both James Palmer and Isaac Copeland returning, the Cornhuskers went from possible Big Ten bottom dwellers to Big Ten contenders. 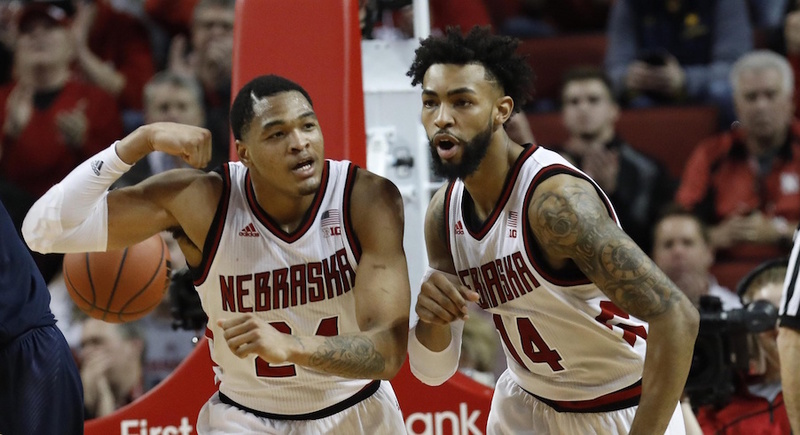 Nebraska just missed out on the Big Dance a year ago, but with both Palmer and Copeland returning, the Cornhuskers can make another run at the NCAA Tournament in 2018-19. Palmer and Copeland were Nebraska's top-two leading scorers last season, pouring in 17.2 and 12.9 points per game respectively. Had both kept their names in the draft, Tim Miles' squad would have been looking at a Rutgers-like season in 2018-19. Instead, the Cornhuskers have a chance to once again make some noise in the Big Ten and perhaps get over the hump and into the NCAA Tournament. With Keita Bates-Diop and Tony Carr gone to the NBA, Carsen Edwards is now the top returning scorer from the Big Ten a year ago and figures to have a big year in 2018-19 after announcing his decision to return to school. Edwards likely would have been a second round selection in the upcoming draft, but with another explosive season, could possibly sneak into the bottom of the first round next year. The Purdue point guard averaged 18.5 points per game last season, including a 40-point performance against Illinois in late February. His explosiveness to the rim and consistent three-point shooting (40.6 percent) make him the most exciting player coming back in the Big Ten next year. Add him in with fellow backcourt mate Nojel Eastern, and Purdue should make some noise in the Big Ten this season. While the Boilermakers likely won't be a top-10 team like they were for most of last season, they will be fun to watch and should be back in the NCAA Tournament and a dark-horse contender for a conference title.